Khula Aasmaan student photo contest is for college students between 16 years to 25 years. This photography competition is unique in many ways. This photo competition not only awards medals and certificates but also promotes each of the shortlisted young photographer. Khula Aasmaan promotes these young photographers by creating a dedicated web page for each of them. This web page is managed for a period of 3 years. The themes for Khula Aasmaan are diverse. These themes are sure to urge the young photographers to shoot and create great pictures on a wide variety of themes. 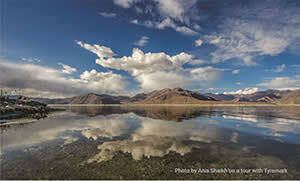 Khula Aasmaan announcess a fantastic prize in association with Tyremark, known for their signature tours to Ladakh. Each quarter, one medal winner from Khula Aasmaan contest will travel to Ladakh with Tyremark on a 10 day tour. Additionally, family members can join this tour at a whopping 50% discount. 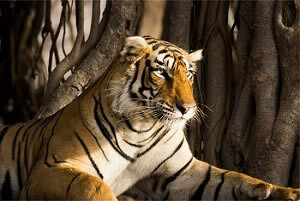 Khula Aasmaan and Jungle Lore are happy to announce a grand prize of a trip to Ranthambhore National Park every quarter. Ranthambhore National Park is famous for tigers and is one of the best places in the country to see these majestic predators in the wild. The varied topography of the national park is home to animals like tigers, leopards, striped hyenas, sambar deer, chital, nilgai, rufous tailed hare, Indian wild boar, Indian false vampires, Indian foxes, mongoose, snub nosed marsh crocodiles, desert monitor lizards apart from over 300 bird species.